There is no shortage of family fun in Atlanta. 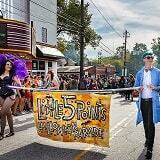 Outdoors or in, summer or fall, Atlanta is the place to be for family-friendly events. 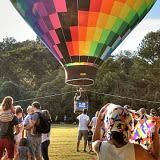 Take your kids out to a neighborhood festival where there is fun for mom and dad too, or venture to one of Atlanta’s top-notch attractions and discover a world of wonder. Whether you’re in town for one day or a week, your family can experience non-stop excitement with these family-friendly events in Atlanta. Earth Day - Diamond Hill Beautification Day! Saturday April 20 at 2 pm hop in for 50%-60% off your favorite books and stay for stories, crafts, and some super Easter Fun! We will be giving free books to those who attend!